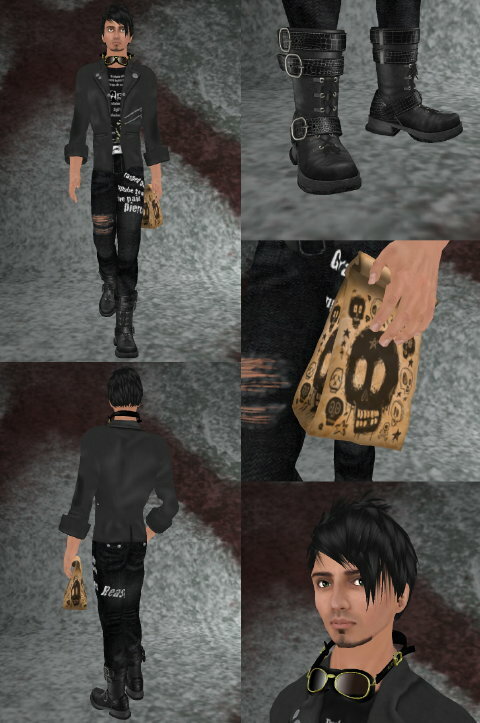 I’ve mixed and matched an outfit here, combining a pair of black graffiti’d jeans and a black tanktop from Fashion Set No. M08, and a grey jacket from Fashion Set No. M06. The jeans are pretty nicely textured, with a rough denim finish, tears, and a cryptic message painted in white on one leg. The jacket, a punk design in grey with hand-drawn badges and zips, has sculpty prim cuffs which are easy enough to adjust. Fashion Set No. M08 comes with jeans, black tanktop, a grey sleeveless ‘parka’ with hood, and a waistcloth. Fashion Set No. M06 comes with this grey jacket, t-shirts, jeans, shoes, and a hip bag. Fun stuff. These goggles are one style available at Kumaki. koguma Kumaki creates interesting, highly detailed and well made glasses and goggles. Scripted to allow you to choose between 12 colors, as well as varying degrees of shine and transparency, able to be worn on the chest, nose, or atop your head, these goggles are incredibly versatile! Posy Trudeau has been kind enough to pack your lunch! 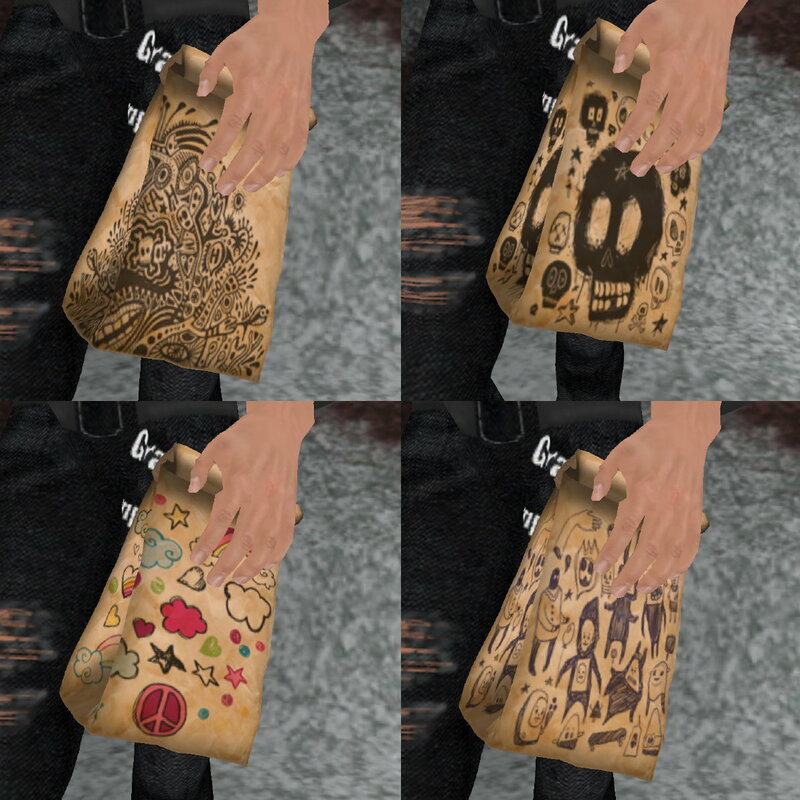 In four designs, this paper lunchbag (4 available versions, shown below), when clicked, dispenses various sandwiches and treats… very cute. I’ve finished off this outfit with the great Xing boots from Shiny Things and Akami hair by Madesign. Very nice find! this Izumaya store is full of pure steals!